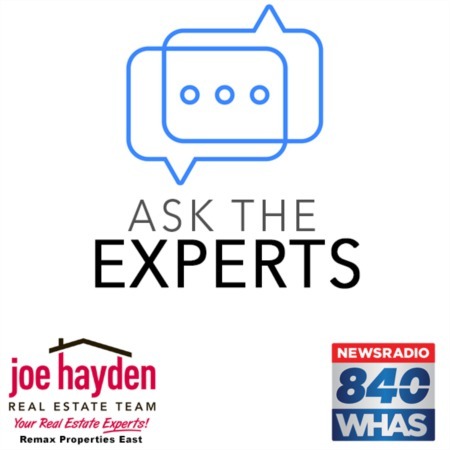 7906 Misty Green Way Louisville, KY 40291 | Home for Sale | MLS# 1340563 | Joe Hayden Real Estate Team - Your Real Estate Experts! Welcome home to 7906 Misty Green Way in Louisville in the heart of Fern Creek! This 2 bedroom, 1.5 bath condo has been impeccably updated and maintained, and it is in a great location in the Johnson Green Condominiums. Upon entering, you are greeted by a lovely, vaulted ceiling entry-way that leads you into the comfortable living room, which is complete with new laminate hardwood flooring and a cozy fireplace! This warm and inviting room has been beautifully painted in designer colors. 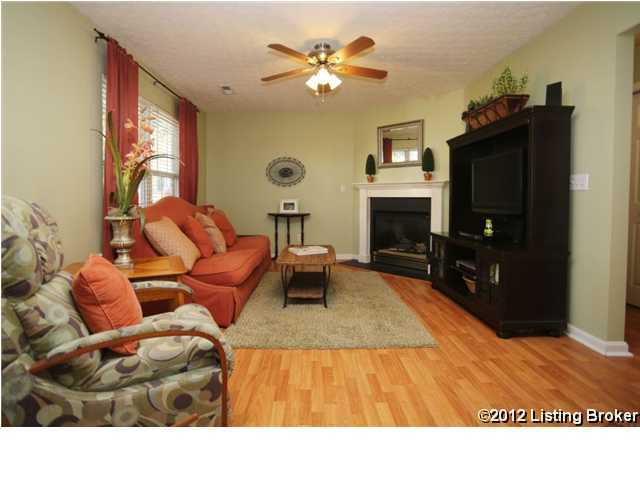 Continuing through the living room, you will enter the kitchen and dining area. The bright, clean kitchen features plenty of counter space and cabinets, a new garbage disposal and a newer microwave above the stove. There is even a breakfast bar, which is the perfect spot to enjoy your morning coffee or a great place to arrange the appetizers for your next family get together! 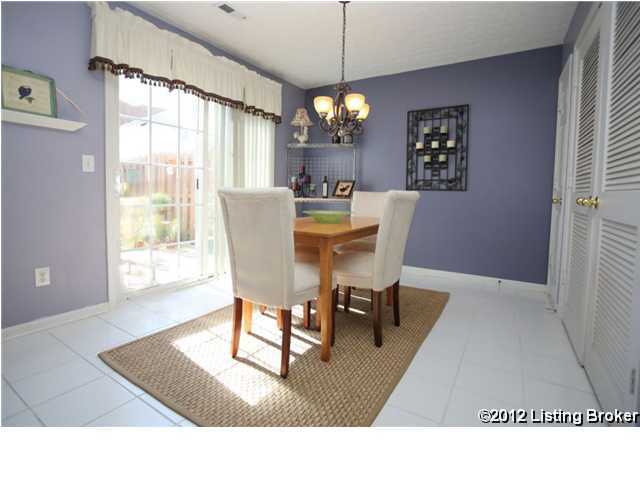 There is also a spacious dining area which is accented with an updated light fixture. This area features a sliding glass door that floods the room with lots of natural light. 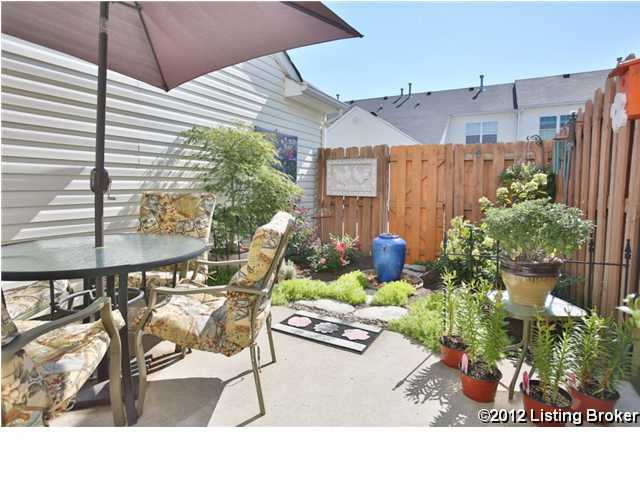 From here, you can view your picturesque back yard, complete with a privacy fence, tasteful greenery and a fountain. Upstairs, you will find the master bedroom which has a giant walk-in closet. There is also an unfinished bonus room with lots of storage space, just perfect for storing holiday items or eliminating clutter from your new home! A second bedroom, along with a full bathroom, rounds out the features of the second floor. 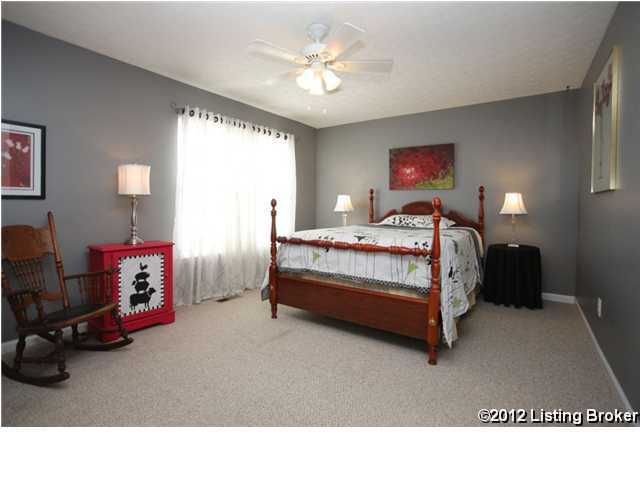 Both bedrooms have new carpeting which is just one of the many updates that have been made throughout the home. There are also newer faucets in the kitchen and both bathrooms, as well as updated ceiling fans and fresh paint throughout. There is even a new furnace with a digital thermostat that was installed in December 2011. As if all of this wasn't enough, there is also a one car attached garage! This home has been extremely well taken care of and it shows. Call today to schedule your showing for 7906 Misty Green Way and see for yourself!